Simple arithmetic and advanced calculations for Gravity Forms and GravityView. 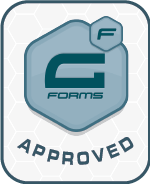 Fixed: Compatibility issue with the (excellent) Gravity Forms Utility plugin - thanks, Naomi C Bush! Gravity Forms Required This plugin requires you have Gravity Forms. The GravityView plugin is not required. Arithmetic in WordPress is now easy. Math by GravityView makes performing calculations simple. Gravity Forms and GravityView are not required. Do math with your Gravity Forms form data. Calculate totals. Perform complex functions. Count the number of entries in a form Values are always up to date. Do mathematical calculations. Gravity Forms and GravityView not required. Perform calculations based on all entries in a Gravity Forms form. Note: Gravity Forms collects tons (or tonnes 🇬🇧 ) of diverse data, so your use may not match our examples. Perform calculations for all visible entries, and on a single entry page. Math by GravityView support docs. How many people have RSVP’d to the event? What is the average age of the respondent? How much money have we raised for the charity ball? What is the largest donation we received? Math by GravityView is powered by Hoa Math, an open-source library. Included in All Access packages. This extension is included in the cost of the All Access GravityView license.